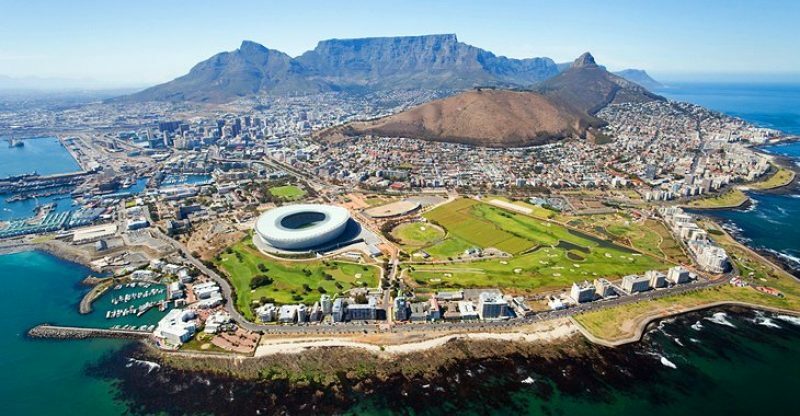 The Western Cape is one of the most diverse places on earth anyone can visit. Many tourists get little further than the Mother City itself and yet when your wings are spread just a little bit there is so much to see and do. At certain times of the year, the Western Cape welcomes its whales. These beautiful and peaceful creatures fill the ocean around the small town of Hermanus and this is a must visit for anyone. Less than 2 hours’ drive from Cape Town, even without the Whales Hermanus is a wonderful place to visit. With some beautiful beaches, great places to eat and the heads of the lagoon, Hermanus is a real eye opener of a town. Visiting in Whale Season, late September, is something really special. You do not have to travel to the Kruger National Park to get up close to the wildlife that South Africa is famous for. Aquila Game Reserve a few hours outsides of Cape Town is one of the largest and most well-run Safari venues in South Africa. Get up close and view elephant, lion, buffalo, rhino, and leopard as well as a variety of other animals and do it all in just one day in the amazing Western Cape. Referred to as simply “Plett” by locals, Plettenberg Bay is an iconic beach town in the Western Cape that cannot be ignored if you are exploring the region. Great beaches, plenty of wildlife, fun for everyone and a great place to kick back and relax by the sea. This is a “must visit” place if you are intending to head along the Garden Route. One of the most popular places to visit in the whole of South Africa by locals and overseas visitors alike. Knysna has been voted South Africa’s Favourite town on two occasions and it is not difficult to see why. Surrounded by pine forests and lush vegetation the lagoon is central to everything about the town. Warm water and famously delicious oysters along with a bustling waterfront make the town perfect for tourists. Of course, there are still plenty of winding country roads to get lost on if you just want to escape and explore. What more can one say, Kommetjie has been the perfect seaside holiday town for decades and Knysna is simply very special? Kommetjiebeachretreats have told us that if you searching for amazing beaches amid a backdrop of mountains and mother nature filled with friendly people this is a place where tranquillity itself comes to rest. Perfect for a day out or for a few days away from it all, Kommetjie has to be visited when in the Western Cape. You cannot say you have been to the Western Cape unless you have stepped foot at the southernmost tip of Africa. Agulhas is the small town that has this claim to fame and the walk among the rocks to the point that marks the most southern part of Africa is one of the most visited places in South Africa, A few hours drive outside of Cape Town this journey to Agulhas takes you through some impressive scenery and it is worthwhile day out that may never forget.